There are other, less fee-laden prepaid debit cards out there than this. Yesterday we told you about the sky-high fees associated with the combination photo ID/prepaid debit card being issued by the city of Oakland. Now comes a report that Chicago-area residents who choose to opt in to the prepaid debit option on their transit cards will also see their cash eroded by fees. Disputing a charge? The Tribune reports there’s a $10/hour “Account Research Fee” in addition to the $2 fee simply for calling customer service. That’s even higher than the rate on the Oakland ID card. 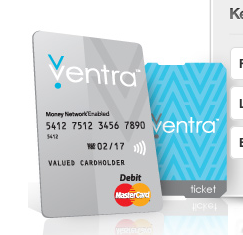 If your account goes unused for 18 months, your transit fare account is hit with a $5 monthly “dormancy fee” and your prepaid debit account will be charged $2 a month, meaning idle cardholders could lose $7/month for not using their cards. The CTA stresses that commuters are not required to enroll in the debit card program.